The versatile Fiber Lab 750 from M2 Optics offers multiple lengths of optical fiber in just 3RU, saving 50% or more rack space for engineers. 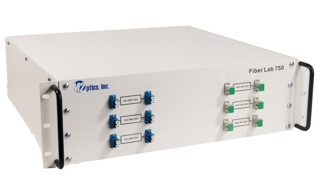 The customizable Fiber Lab 250HD from M2 Optics provides a versatile solution for communications service providers, test labs, and research institutions. When splicing together two lengths of fiber optic cabling, you have to choose between the two known methods - fusion splicing and mechanical splicing - which both essentially produce the same result - a secure connection between two formerly separate lengths of fiber. However, how do you choose between them? Is one method better than the other? Well, in this article, we take a closer look at both, to provide some clarity on the subject. By reading to the end, you’ll know what the pros and cons are of each, how each connection is created and you’ll be in a better position to make a considered decision. So, without any further delay, let’s begin. The ultimate goal of cable splicing is to create a secure connection between two or more sections of fiber in a way that allows the optical signal to pass through with minimal loss. As we mentioned already, both mechanical and fusion splicing achieve this goal, but they do so in very different ways. Firstly, fusion splicing involves melting the two sections of fiber permanently together. This is achieved with an electrical device aptly known as a fusion splicer, and it’s something that not only melts the two parts together with an electric arc, but it is also able to align the fiber to create a good connection precisely. One of the main differences with mechanical splicing is that it doesn’t permanently join the fibers together, instead of locking and aligning the pieces together with a screw mechanism. This method requires no heat or electricity at all. With both mechanical and fusion splicing techniques, there are four distinct steps to the process. The first two steps for each are almost identical, but the final two are where the differences lie. To prepare the fiber for splicing, you need to strip away the jacket or sheath that surrounds the internal glass fiber. You’ll be left with bare glass when you’re finished, which should then be cleaned with an alcoholic wipe. The next step involves cleaving the fiber, which shouldn’t be confused with cutting. Cleaving means that the fiber should be lightly scored and then flexed until it naturally breaks. 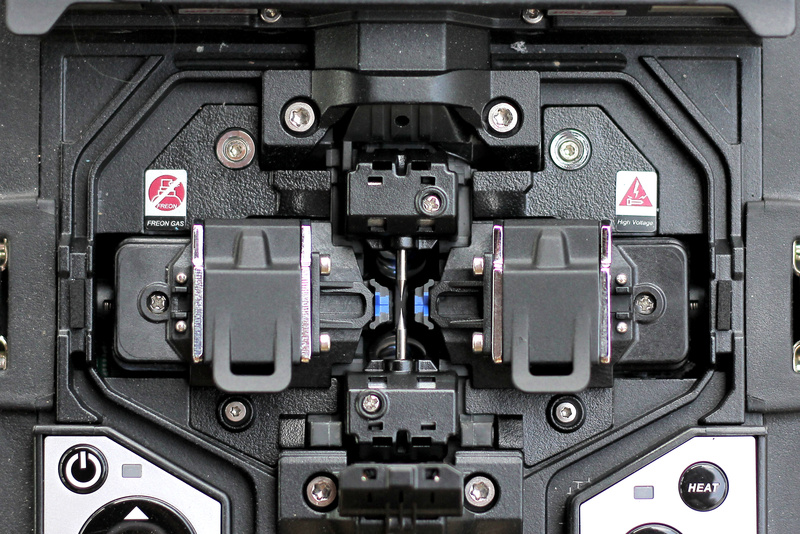 To create a sound connection, you need a good, clean, smooth cleave that’s perpendicular to the fiber it’s being connected to in the fusion splicer. The Optical Time Domain Reflectometer (OTDR) is a vital tool for fiber optic testing that can analyze the performance of fiber optic cabling through the use backscattering technologies, as well as identifying and locating connectors, splices, and breaks in fiber optic networks. However, there is an unwanted phenomenon known as ‘dead zone’ that occurs when using an OTDR, which can cause improper readings if the right steps aren’t taken. This dead zone limitation can be avoided through the use of an OTDR Launch Box, which is what we review in more detail here. The launch box, which is also known in the industry as a launch fiber, pulse suppressor, dead zone box or fiber ring, is a device that helps to eliminate the dead zone issue during fiber optic testing significantly. The dead zone is something that occurs when the pulse width changes and causes a high degree of reflection that can cover an area several hundred meters from where the OTDR is located. This results in the OTDR device not being able to detect events or issues in that area. A term launch box is a box that contains a long spool of fiber that is placed in between the fiber being tested and the OTDR. This provides extra fiber on which the dead zone can occur. This enables the OTDR to now detect events at the beginning of the fiber being tested. Launch boxes come in various shapes and sizes. However, all tend to have a robust outer casing to make them more durable. Each end of the fiber is terminated, with one to be attached to the OTDR and the other to the fiber being tested. Once connected to the relevant ports, the test can be run accordingly. While using an OTDR box is a relatively simple process, you must be sure that it contains a sufficient length of fiber to take account of the entire dead zone or you still won’t achieve a proper reading on your trace and could miss events. Choosing the right OTDR launch box is important, as they can be customized to the specific application or device. When choosing the right OTDR launch box for your needs, you should approach it in the same way as you would choose a fiber patch cable. Box styles along with features such as connector type, fiber type, and fiber length should all be determined. 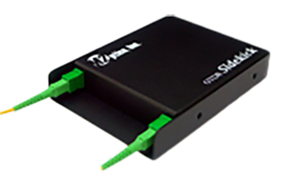 Furthermore, some launch boxes are available with bulkhead adapters while others provide directly terminated fiber ends. As mentioned before, a dead zone can cover several hundred meters, so your launch box spool should be long enough to cater for this. It is important to make sure you choose one that suits the job, and your OTDR user manual can provide guidance regarding the expected dead zones. If you would like to learn more about anything else relating to packaged optical fiber solutions, network simulation, and latency/time delays, please get in touch with us at M2 Optics by calling us on 919-342-5619 or, visit our website www.m2optics.com. Since 2001, M2 Optics has been an established manufacturer and innovator of professional optical fiber platforms for fiber network simulation, latency / optical time delay, training, and demonstration applications. Our customer base includes many of the world's most recognized communications service providers, equipment manufacturers, data centers, web service providers, financial institutions, research institutions, and government agencies. Fiber optic attenuators are used in networking applications where an optical signal is too strong and needs to be reduced. There are many applications where this arises, such as needing to equalize the channel strength in a multi-wavelength system or reducing the signal level to meet the input specifications of an optical receiver. In both scenarios, reducing the optical signal strength is necessary or else system performance issues may arise. If you are in the line of work where you are simulating networks using optical fiber, it is safe to assume that you have a few spools of bare fiber sitting in your test environment. The importance of ensuring your fiber-based network devices will work as envisioned before deployment in the field is vital. However, running simulations using unprotected or unsecured spools fiber can prevent you from producing the maximum results due to challenges that can arise.